35 Wattletree Road, Armadale – almost complete! The finishing touches are being put onto this exciting 10 apartment development in Armadale. 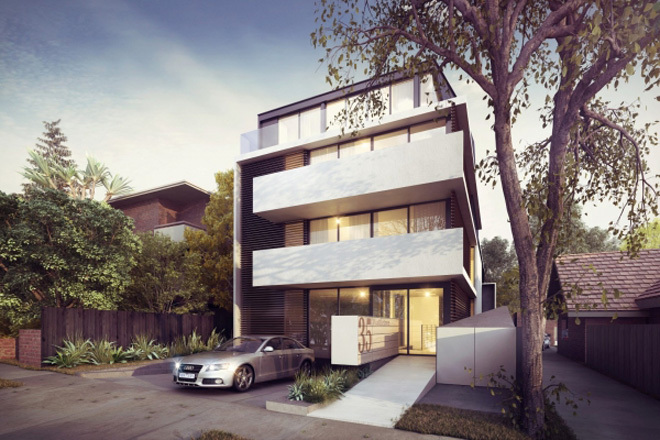 With expansive views towards the City and the Dandenongs, the apartments deliver sophisticated living, close to public transport and all of the fabulous shops and cafes of High Street, Armadale and Glenferrie Road, Malvern. venn architects completed all design work on this project, including town planning, design & documentation, contract administration and interior design. Apartments are all generous in size, with balconies, two bedrooms, two bathrooms and basement car parking. Only two remain.